Some blog owners are only interested in ad revenue and getting hits. For those that are passionate about their content, owning a blog is more about creating a loyal fan base of readers than just attracting any old visitor. Here are several ways in which you can turn visitors into your loyal blog supporters. Allowing readers to subscribe to your blog can allow you to alert new readers every time new content is uploaded. Many blogging platforms have subscriptions services – WordPress allows those with a WordPress account to subscribe, whilst Blogger allows people with a Google Plus account to receive notifications. Of course, not everyone may have these accounts which is why it can also worth setting up an email mailing list. By collecting the email addresses of readers, you can then send out emails to these readers every time you publish a new blog post. You can borrow newsletter templates from Postman and use a bulk mailing service that sends out these emails to everyone at once. To collect people’s email addresses, you can create a pop-up on your homepage that allows visitors to subscribe there and then or you can allow people to sign up in the sidebar. Social media can be another tool for getting people to subscribe to your content. You can create pages for your blog on social media onto which you share links to every new post you publish. You can then add social media plug-ins to your blog that allow readers visiting your blog to follow you on social media. You can also turn visitors into loyal readers by creating a sense of community on your blog. Enabling comments allows readers to leave their opinion. This can help readers to feel more involved and make your content more engaging. Discussion can also be great for encouraging readers to return. Readers may go back to check that someone has replied to their comment and they may be more inclined to comment on other posts in the future. You yourself can create content that inspires discussions such as asking for readers’ opinions with polls or even reacting to readers’ requests once you start getting a stream of regular comments. Most blogging platforms have their own comment systems, but you can also use plug-ins that allow people to comment via Facebook. Loyal readers are likely to want consistency. They don’t want to wait several months for new content and then have three posts published in one day. Nor do they want inconsistent topics to be covered. Try to post content on a regular basis and even consider scheduling it for a certain day so that readers won’t grow impatient waiting for new content. Similarly, keep to a theme rather than posting random content so that readers know what to expect from your blog. 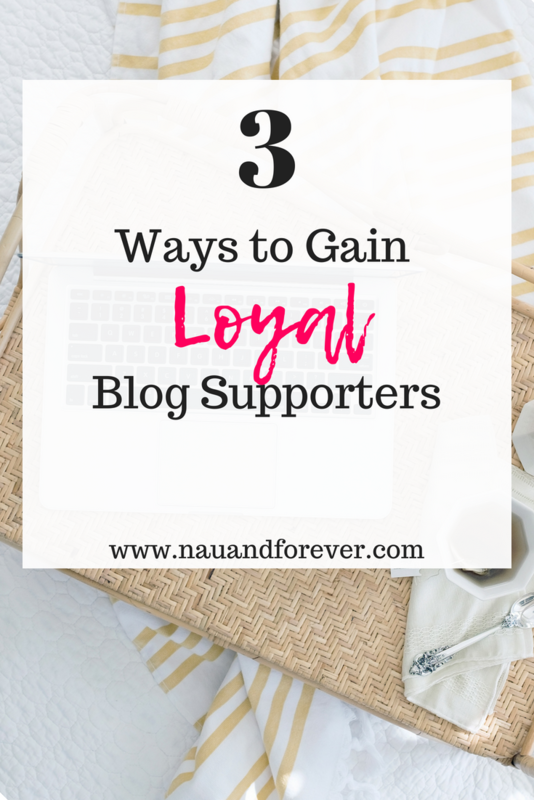 Loyal blog supporters are your bread and butter. They are what keep you going on days that you just want to pull the plug. Nurture your tribe and it will grow! If you are a new or even a seasoned blogger, you need to check out my list of favorite affiliates!